Welcome once again to my favorite blog entry of the year, my Top 100 Major League Baseball Prospect list for 2017. My list consists of the top prospects in baseball right now and doesn’t necessarily focus on player’s impact this season as these players are in various stages of their Minor League and and possibly Major League career. This past weekend the Toronto Blue Jays organization put together a wonderful treat for their fans in Buffalo, NY. In a joint effort with the Buffalo Bisons the event on January 24th, was held at the Adam’s Mark Hotel in downtown Buffalo. Luckily, we here at Jays From the Couch were granted access to the event, and able to secure some excellent interviews with a few players. Our first interview features a conversation with pitching stud, Conner Greene. With Greene finishing each of the last two seasons with Double-A New Hampshire, it is not unreasonable to determine he could start the 2017 season with the Fisher Cats. Should his progression remain steady a trip to Triple-A Buffalo, and perhaps a Toronto September call-up could be warranted. Greene discussed his progress and his new mentor. In our second interview, Rowdy Tellez talks to our Catherine Stem about his approach to hitting, coaching and much more! The addition of Rowdy Tellez to the Buffalo Bisons roster has some Blue Jays fans celebrating the talent coming up through the minor league system. Shaun Doyle wrote about his impressive season in New Hampshire with the AA Fisher Cats and The Toronto Blue Jays have certainly been keeping an eye on him. That has bred the hope that he could, sometime in the future, be a replacement of sorts for the power bat of Edwin Encarnacion, a point made by Ryan Mueller HERE. Below you can find my analysis for the prospects ranked between 21-30 for the 2016 midseason top prospect list. If you want to see the full top 100 list, please visit the following link: SEE THE TOP 100 PROSPECT RANKINGS. I will be posting daily analysis of every player listed in the top 100, so please follow my blog and other social media for updates. Orlando Arcia (MIL, 21 Years Old, SS): The smooth-fielding shortstop has struggled a little during the 2016 season, but his future remains bright. In 382 plate appearances at Triple-A, Arcia is batting .269, with seven home runs, 44 RBIs, 56 runs, 13 stolen bases, .325 OBP, and a .407 slugging percentage. He still profiles as an above average shortstop in the big leagues, but I’m not convinced he is going to be an elite fantasy baseball player. He has the ceiling to produce 15-20 stolen bases, .270 BA, 10-15 home runs, and a .340 OBP once he reaches the bigs. If he does put up those numbers, I retract my statement about his fantasy baseball value. Below you can find my analysis for the prospects ranked between 91-100 for the 2016 midseason top prospect list. If you want to see the full top 100 list, please visit the following link: SEE THE TOP 100 PROSPECT RANKINGS. I will be posting daily analysis of every player listed in the top 100, so please follow my blog and other social media for updates. Braden Shipley (ARI, 24 Years Old, RHP): Shipley was considered a top 50 prospect following the 2014 season, but he has declined since. In 2016, he has thrown 107.1 innings, with a 3.69 ERA, 117 hits against, 68 strikeouts, and only 18 walks in Triple-A. His walk rate and command have drastically improved, but his lack of strikeouts is a concern. A few years ago, Shipley was viewed as a potential 2/3 starter in a rotation, but it looks like he could be more of a 4/5 starter when he gets his chance. Who Will Be The Next Superstar Baseball Prospect Called Up? Following the promotion of Lucas Giolito, MLB’s #1 overall prospect, many people are wondering who and when the next superstar prospect will be called up. There are quite a few people who come to mind when pondering this question. Some of those names include Alex Bregman, Manuel Margot, Alex Reyes, Orlando Arcia, Tyler Glasnow, Aaron Judge, and many more. It is difficult to predict when a prospect is going to be called up, but it can be even harder to predict if that prospect is going to be a superstar. Every one of those guys listed above have the potential to be something special, but who will make that superstar impact this year? Could it be Alex Bregman taking over third base for the Houston Astros? How about Alex Reyes toeing the rubber in St. Louis? Both of those individuals will be superstars, but they are not who I have in mind. The Marlins season has gone as planned, in the sense that they have been absolutely terrible; however, that’s not to say there haven’t been some memorable highlights and played some tremendous games. No matter how bad anyone thought the Marlins would be at the start of the season, things have managed to turn out worse. With proven players like Giancarlo Stanton and Logan Morrison failing to perform at the levels they are capable of and the organization starting a laughable infield for the majority of the season, 2013 has been one of the worst seasons in franchise history. However, that’s not to say there haven’t been memorable, enjoyable, and even unforgettable Miami games and performances that have taken place in the 2013 regular season. Here’s a look at the few unforgettable games and bright young names that will be remembered in years to come. 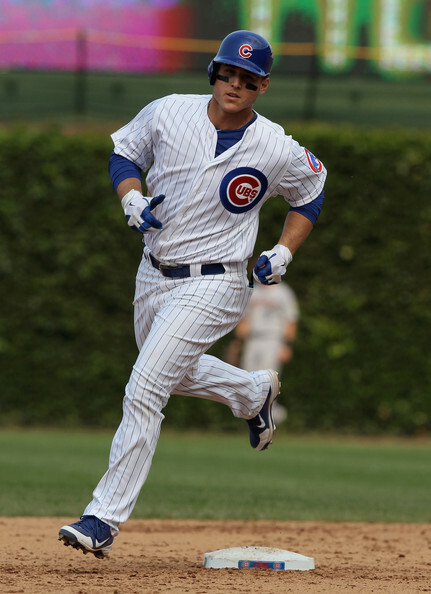 Rizzo looks in 2013 to improve on his strong short 2012 campaign, in which he hit .285 with 15 HR and 48 RBI. He has struggled to carry a great Batting Average – but has launched 8 HRs and added 19 RBI in just 90 At-Bats heading into Monday Nights action, We at the ‘Reports,’ are calling him the NL Mendoza Line Masher. The AL Mendoza Line Masher is definitely Adam Dunn. Over the past few years, Chicago Cubs fans have not had a lot to cheer about. Anthony Rizzo is starting to break this trend. Rizzo was acquired by the Cubs from the San Diego Padres in early 2012. The team sent Andrew Cashner—most notably—to the Padres and got Rizzo in return along with minor league pitcher Zach Cates. Rizzo is exactly what the Cubs need in a power-hitting first baseman, and should hold down the position in the years to come. Andrew Cashner was a prized prospect at the time of the trade, but the Cubs evidently thought Rizzo was more talented and held more value. The Padres wound up with Yonder Alonso to man First Base, so they did not lose a significant amount in the trade. Are The Red Sox Mismanaging Their Shortstop Position? Is Jose Iglesias the best fielding Shortstop in baseball? Maybe I’m biased but I believe he is. Keith Law called him the best defensive prospect he had ever seen. 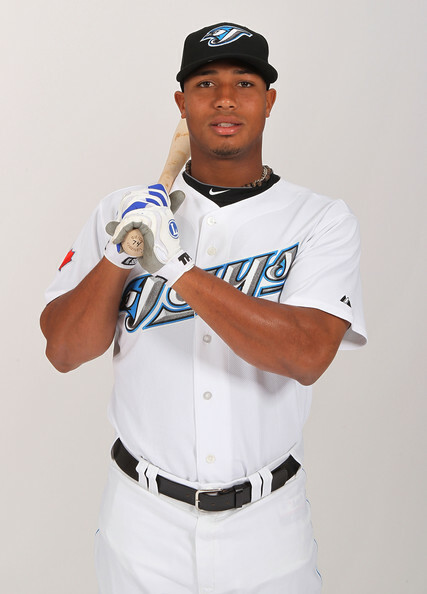 His defense has carried him thus far in his professional career, but I think his bat is ready for the Majors in 2013. It might not be at its full potential, but it is developed enough. The Boston Red Sox have been off to one of their best starts in recent memory so far in 2013. At this early juncture in the season they are still in 1st place in the AL East and for the most part are performing like a team with playoff aspirations. A lot of this is due to the reemergence of veterans who had down 2013 campaigns but there are also a developing core of young players contributing such as Will Middlebrooks, Jackie Bradley Jr, and Jose Iglesias. While batting .450 (9-20), Jose Iglesias couldn’t have done anything more to secure a spot on the 25-man roster. Despite his great start he was sent down to Pawtucket (AAA) to make room for Stephen Drew who is coming off injury (concussion). Just two years ago, Jose Fernandez was pitching for Alonso HS in Tampa, Florida. 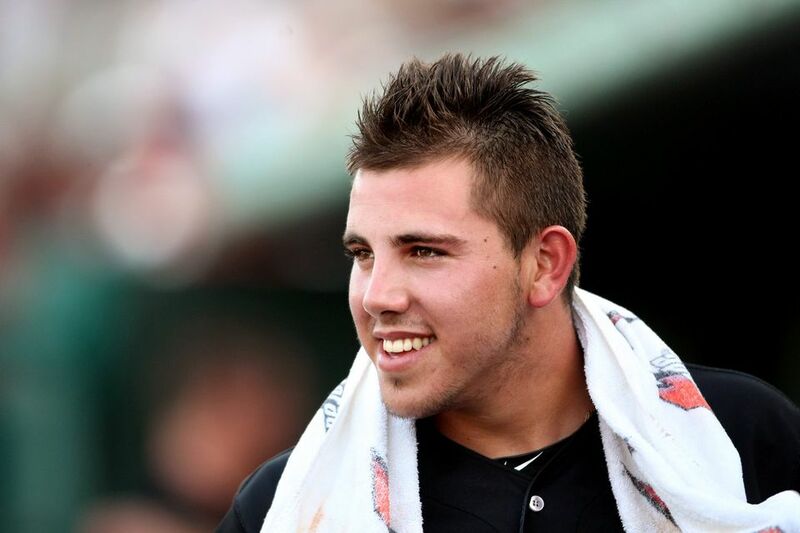 Jose Fernandez is one of the top ten prospects in all of baseball for a variety of reasons. He has a fastball that can touch 98 MPH and a nasty curveball that will baffle hitters at any level. 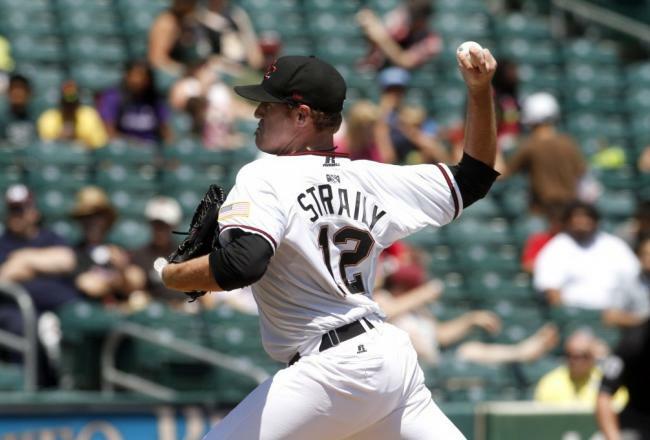 This weekend, the Miami Marlins promoted to their starting rotation after he continued to impress their front office in Spring Training. Having never played above High-A, Fernandez will suddenly be forced into the spotlight in the N.L. East. 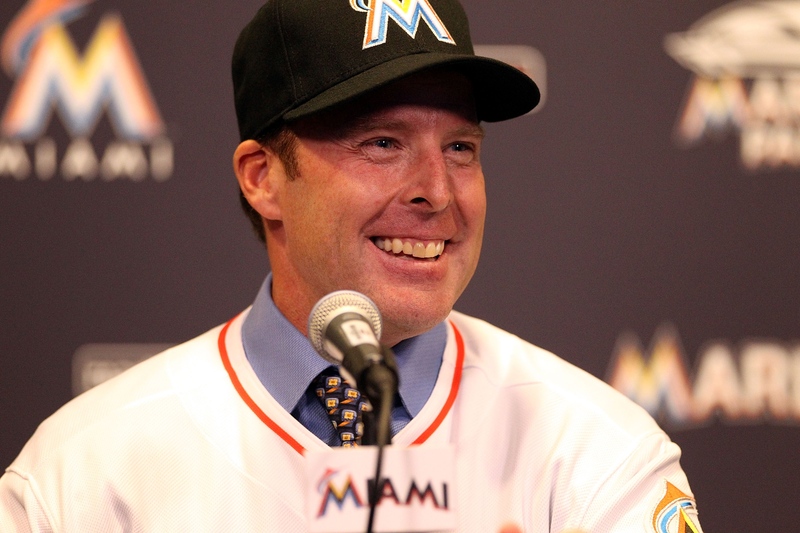 While it may seem that the Marlins are making the right choice in bringing him up because of how awful and unexciting their team will be in 2013, the reality is the Marlins are making a massive mistake. Felix Hernandez is still the Mariners best player without a doubt. Will he get some help shouldering the load in 2013? Either way, all of baseball should be watching when King Felix pitches, he is a true marvel on the mound. 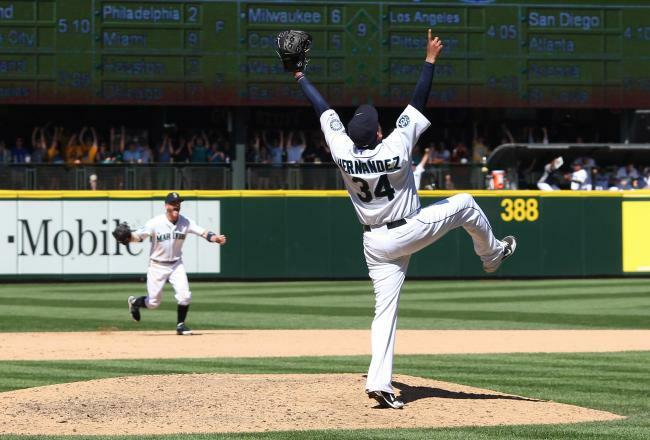 Seattle Mariners fans must be pretty amazing, Felix Hernandez sticking with their team through recent times. The Mariners were established in 1977 and have made the playoffs just 4 times in their history. They were the AL West champs 3 times (’95, ’97, ’01) and winners of the Wild Card once (’00). They have never won a World Series, or even an AL Pennant, and in 2012 they shipped off a fan favorite, Ichiro Suzuki, to the Yankees. The AL West is a tough division. The Rangers and Athletics made the playoffs last year, and the Angels just landed the prize of the off-season in slugger Josh Hamilton. I guess one bright spot is the Astros are moving to the AL West, so the Mariners won’t be rebuilding within the brutal division alone. The Seattle Mariners hopes and dreams start where they have for years now, on the shoulders of King Felix. Felix Hernandez is no doubt an Ace. He has pitched 200+ innings every year since ’08, and had a sub 4.00 ERA every year since ’07. Hernandez won the AL Cy Young in 2010, and is a perennial contender for the award. Last year the Seattle fireballer threw his first Perfect Game. Hernandez will once again be atop the Mariners rotation, which as of now figures to include Hisashi Iwakuma, Blake Beavan, Erasmo Ramirez, and Hector Noesi. Hisashi Iwakuma was a pleasant surprise for the Mariners in 2012. He wasn’t a greatly sought after oversees free agent last year, overshadowed greatly by fellow Japanese hurler Yu Darvish, but proved to be a great signing. Iwakuma started 2012 in the bullpen until he later earned a spot in the team’s rotation. Iwakuma managed a very respectable 3.16 ERA in the 125.1 innings he split between the rotation and the pen. This success is part of the reason the Mariners resigned the pitcher to a 2YR/14 Million Dollar deal this past November. He figures to hold down the 2nd spot in the rotation and should do just fine if 2012 was a sign of things to come. Blake Beavan is still just 23 Years Old, but he already has 41 Major League Starts under his belt which gives the club hope he can hold down the 3rd or 4th slot in the rotation. Beavan clearly has the talent which is what made him a 1st Round draft pick out of high school for the Rangers, and the reason the Mariners made sure he was a part of the package they received in return for Cliff Lee in 2010. Beavan’s 2012 stats won’t impress a lot of people, but they were a good start for a young player like himself to build and improve upon. Codey Harrison (Lead MiLB Prospect Analyst) – The second installment of a 3-part series featuring the top 5 prospects from middle of the field positions. This week we are focusing on one of the hardest positions in all of baseball to find superstars at. One of the biggest reasons is that catchers take a lot longer to progress defensively than any other position in baseball. Bryce Harper who was known for being a catcher in high school was drafted as an outfielder by the Nationals so he could make it to the Major Leagues much faster. Being able to call a game behind the plate, and knowing the angles that are needed to block pitches in the dirt can take several years to master. The wear and tear on a catcher can be a vigorous one, as most catchers only catch 140 games an entire season even if they are healthy the entire season. With current catchers in MLB who are stars like Joe Mauer, Matt Wieters, Buster Posey, Brian McCann, Yadier Molina, and Miguel Montero, it’s time to take a look at the potential future catching stars who replace the current MLB All-Star catchers. Plus teams look to move star catchers from their primary position to save their bats and extend their careers in the process. Codey Harrison: This is the second installment of the weekly prospect hot/cold sheet. We will feature 3 prospects that are on fire, and 3 prospects that are ice-cold. Our list of players will only include those who are still prospect eligible (less than 130 MLB at bats, less than 50 innings pitched at the MLB level). 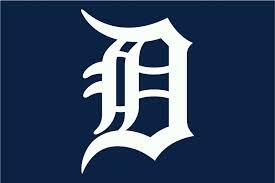 Featured players are generally players who are highly regarded amongst the minors and are regarded as legit prospects. 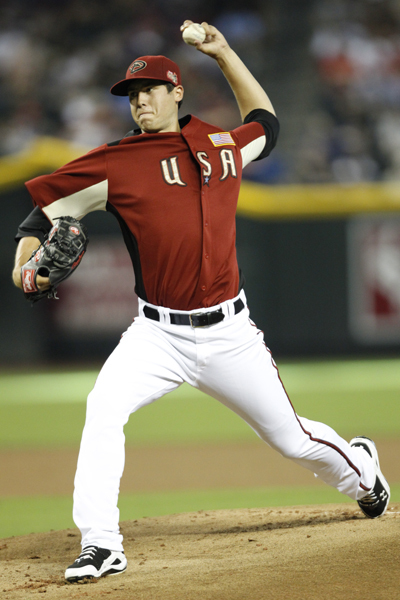 This week’s hottest player goes to Arizona Diamondbacks LHP Tyler Skaggs who has posted a 1.70 ERA in 8 AAA starts. Codey Harrison: This is the first installment of the weekly prospect hot/cold sheet. We will feature 3 prospects that are on fire, and 3 prospects that are ice-cold. List’s of player’s will only include players who are still prospect eligible, less than 130 MLB at bats, less than 50 innings pitched at the MLB level. 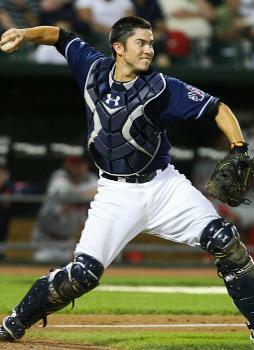 Featured players are generally players who are highly regarded amongst the minors and are regarded as legit prospects. 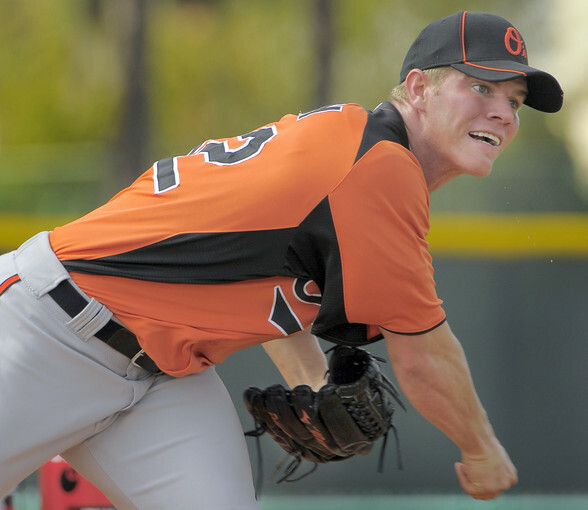 Dylan Bundy who ranks 2nd on our mid-season top-50 prospects list gets the nod for the hot prospect after his best outing as a pro.